Description: This book is a fitting self-portrayal of a vibrant and effective woman who doesn't fit any traditional Christian mold. It is a testimony that proves God's grace can accomplish much in one's life, and is in itself a healing experience. The power of its instructions in the life of faith and prayer for healing, arises from the deep experiences of a remarkable servant of an omnipotent God. 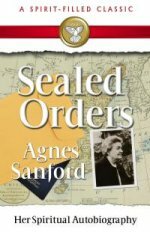 Agnes Sanford began a healing ministry in the '40s; received Pentecostal experience in '53/54. Together with her husband, and alone after his death, she spoke to and taught groups all over the country about the power of prayer. The Sanfords were primary agents for spiritual renewal in clergy of the mainline denominations. She died in February 1982 after 35 years of ministry.